Medicine has always been one of the most lucrative and sought after career options both in India and abroad as well. A profession noble as such and aimed towards promoting a healthier society in general, requires the course structure to be designed with utmost caution. 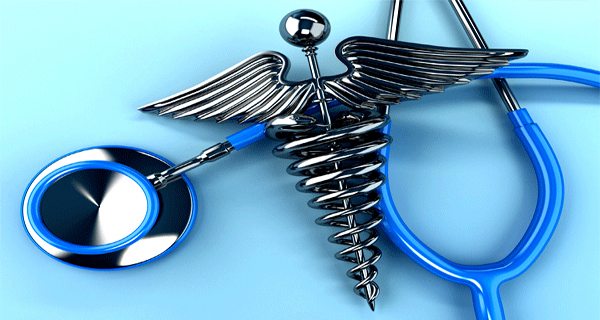 Indian students have aspired to pursue MBBS abroad. Countries all over the world develop the structural design of the course according to the criteria they deem as best suited. The UK, Australia, France, Germany, Canada, Hong Kong, Singapore, USA are the top ten countries to study medicine. A brief description of the various necessary entities has also been enclosed along with each of them. Regarded as of one of the most competitive courses, the UK, every year accepts thousands of international students in the various medical schools established there. In order to be eligible to be accepted for a course in medicine a student is required to obtain AAA grades with either chemistry or biology as a requirement. International students willing to pursue medicine are required to obtain a minimum IELTS (International English Language Testing System) score of 7.0 with scores not less than 6.5 in all four categories of listening, speaking, reading and writing. Selection into various medical and dental schools is based upon the UK Clinical Aptitude test (UKCAT)/Bio Medical Admissions Test (BMAT) encompassing the areas of verbal, quantitative and abstract reasoning along with decision analysis and situational judgement. The duration of the study ranges from four to six years. On completion of two years of study as an undergraduate, the students are required to undergo a foundation training of two years. A speciality training has to be undertaken after completion of four years of study in the area one wishes to specialise, which could last up to seven years. A Certificate of Completion Training (CCT) is awarded upon completing the speciality training. The strict deadline for applications is October 15 every year for start of study in September of the following year. List of required documents for studying medicine abroad in the UK. Letters of recommendation from employers (if working) highlighting the professional abilities. The Australian Qualifications Framework (AQF) has developed a quality oriented course in the field of medicine. International students seeking an undergraduate degree in medicine in the country must have completed their higher secondary examination from a recognised board or institute with a minimum score of 7 in IELTS. The students are required to qualify the Undergraduate Medicine and health Admission Test (UMAT) organised by the AQF. International applicants may also apply with Graduate Australian Medical Schools Admissions Test (GAMSAT) or Medical College Admissions Test (MCAT) scores. The minimum GAMSAT score should at least be 50 in each section, and a score of at least 50 overall. The medicine programs are usually four to six years long followed by one year of internship and one year of residency upon the completion of which the MBBS degree is awarded. The speciality training is of three to eight years and is optional. The deadline for applications is around June 30 every year. Students are advised to start applying 11 — 12 months prior before the closing date for applications. List of required documents for studying medicine abroad in Australia. The study comprises of six years of study in medical school followed by three to five years of additional clinical residency training. The study is divided into three cycles- PCEM, DCEM and speciality or general medicine residency studies. The first cycle Premier Cycle d’études Medicales (PCEM) is of two years ending with a competitive exam. Deuxième Cycle des Etudes Médicale (DCEM), the second cycle is of four years ending with a theortical exam. The third cycle includes two study programs general medicine or specialization, either of them leading to the DES: Specialised Studies Diploma or “Diplômes d’ Études Spécialisées. Internship for general medicine is for three years while the residency or specialities internship could last for four to five years depending on the field. The deadline for applications in most of the universities in France is around June every year. Application for entry in medical education. There is a keen competition for entry into the faculty of medicine in Canada. Majority of the medical schools in Canada enroll students who have completed a degree in biological sciences except for the Quebec province which accepts students on the basis who have completed their class 12 exam and one year of diploma. MBBS in Canada is known as MD (Doctor of Medicine, considered as an undergraduate degree). International students willing to pursue medicine in Canada have to undertake the Medical College Admission Test (MCAT). It is a multiple-choice question based examination meant to access problem solving, critical thinking, writing skills and knowledge of science concepts/ principles that are prerequisite to the study of medicine. The medical course is a three to five year program in Canada varying according to the university and medical background of each student. Those with a bachelor degree in the appropriate field are eligible for the 4 year program while the others have to opt for the 5 year program. An additional residency training is also required which may range from two to seven years of study. The deadline for applications for medical studies is around June 30 every year. Certified copies of Class 10 and 12 Mark sheets and certificates. For students wishing to pursue a career in medicine, Germany is one of the most preferred destinations owing to its low course fees as compared to other countries abroad offeing the same. Also, Germany is said to offer world class medical education and has been proposed as the finest medical system in the world. 5% of seats are available for international students. Students seeking admission to medical courses in Germany would have to qualify the Test for Medical Studies (TMS) or Test fur Medizinische Studiengange meant to access the aptitude of a student. Medicine in Germany is strictly taught in the German language. The course of study is for six years. First two years comprise of Preclinical studies followed by the Intermediate medical Examination or ‘Physikum’. The next one year is for first stage of clinical studies followed by exam. The following two years comprise of second stage of clinical studies ending with exam. Students who pass the exam enter into the third stage of clinical studies followed by practicals for 48 weeks (Praktisches Jahr) concluding with oral and written examination. There is no additional clinical/residency training. The deadline for applications to MBBS program is around July 15 every year. List of required documents for studying medicine abroad in Germany. German language competency certificate B1. A degree in medicine from the various universities in Hong Kong is considered to be at par with the quality of education offered by the UK and the US. Students have to have to obtain a minimum score of 7 in the IELTS/TOEFL (Test of English as a Foreign Language) along with the performance in an international examination like SAT or a national examination like Indian Board Examination. Interested students are required to submit an online application. Based upon their academic record and performance in the IELTS/TOEFL examinations, admissions would be granted. Students are also required to demonstrate proficiency in a language other than English as well. Targeted Scholarship Scheme under the HKSAR Government Scholarship Fund is awarded to top ranking students of various Asian countries including India. The curriculum designed for MBBS in the country is for six years comprising of 12 semesters. This is followed by a internship of one year. The third year of the course is devoted towards Personalized Enrichment aimed towards enhancement of the learning experience and personality development as a whole. Specialist training upon completion of the course are offered at hospitals under the Hospital Authority of Hong Kong which may last up to 6 years. The deadline for MBBS Hong Kong applications is around July 15 every year. List of required documents for studying medicine abroad in Hong Kong. The duration of the medical course is of five years followed by one year of additional housemanship training. International students also have a service obligation of six years. There is an optional speciality training offered which may last up to six years. The deadline of application is around mid July every year. List of required documents for studying medicine abroad in Singapore. The US offers a well structured MBBS program keeping in track with the latest developments in the fields of technology and medicine. The medical degree offered in the US is known as Doctor of Medicine (MD)/Doctor of Osteopathic Medicine (DO). Students willing to pursue medical courses are required to mandatorily appear in the MCAT test. The applicants must have a four year Bachelors degree in Sciences or related subjects. The duration of the medical course in the US is of four years followed by residency training which might range anywhere between three to seven years. Additional training in speciality courses is optional and may vary anywhere between one to three years. The four years of basic study is roughly divided into pre-clinical (courses in basic sciences) and clinical (internships comprising of rotatory courses in various wards of a teaching hospital). The application deadline is different for spring and fall admissions. It usually starts in June and lasts till mid November. Russia has gained popularity over the years as a favourite destination of students willing to pursue medicine abroad. The main reason for this could be attributed to its low course fees and level of education that is at par with the global standards. Education in Russia is subsidized by the governmment as well which lowers the costs even further. There is no separate entrance examination to pursue MBBS in Russia. Students have to qualify in the senior secondary (10+2) examination and obtain marks according to the set Medical Council of India (MCI) guidelines. There is, however, an MCI screening test for students applying for admission in Russia and a No Objection Certificate (NOC) has to be obtained from the same to be eligible. Admissions are purely on first-come-first-serve basis. Medicine in Russia is taught in both English and Russian languages, though the number of colleges teaching the course in Russian is higher. Students undertaking MBBS degree in Russia are also taught Russian during the course of study to help interact with the patients. MBBS in Russia is a 6 year long course with the first three years of curriculum designed for understanding of human biology, studies of pathology, clinical diagnosis and pharmacology. The curriculum of fourth, fifth and sixth year involves series of clinical clerkships in various fields of medicine and choosing of clinical electives. Clinical training involves ward and grand rounds as well. The last date for admissions is around mid July every year. The MBBS program offered in Malaysia is aimed towards producing medical professionals who are competent and qualified and are equipped with latest developments in the medical industry. The medical colleges in Malaysia follow a rigorous process for selection with some new colleges offering a foundation courses in medicine before admission of the students into full-time medical courses. The selection process into various colleges offering MBBS requires an excellent percentage of marks 80% and above in the senior secondary examination with an average of 70% in the subjects of Biology, Chemistry, Physics or Maths. Candidates also need to qualify in the International Student Admission Tests (ISAT) and perform well in the several interviews that are conducted subsequently. Proficiency in English language is also a must. Duration of the MBBS course in Malaysia ranges from five to six years, comprising of two phases-Pre Clinical (Phase I) and Clinical training (Phase II). The first and second year of the course is Phase I where students are provided with knowledge of medical sciences and exposure to clinical medicine. Phase II comprises of clinical rotations in various disciplines at hospitals designated by the Ministry of Health (MOH). There is also a mandatory housemanship training of three years following the clinical clerkship phase. There are two intake periods in March and August into the MBBS programmes offered at different colleges in Malaysia. The deadline for application is around February and July for the different intake periods every year. List of required documents for studying medicine abroad in Malaysia. IELTS/TOEFL score card to access English proficiency.